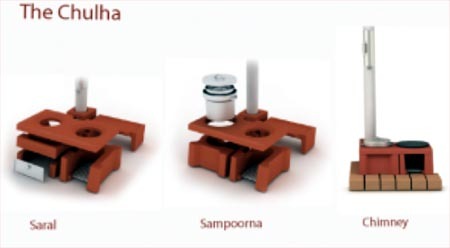 Host PhilipsDesign (picture above) presented and led a discussion on The Chulha Smokeless Stove project. Key to the concept of strategic philanthropy, and The Chulha project, is design co-creation “involving people who will benefit from the result of what is being created. ” ARTI (Appropriate Rural Technology Institute), self help groups, local entrepreneurs, and potential users joined the Philips team as “stakeholders” in a concept definition workshop. At least we’re moving from a time when companies took no outside input at all to a time in which they’re actively seeking it. It’s arguable whether they’ll need to start paying for this kind of feedback, but for the moment it makes for a very interesting experiment. I look forward to seeing results. Well Philips Design have been paying participants for their feedback with the recently completed, “My Second Life” Research Project. Now they are looking to expand their network and have issued a call for Second Life free lancers, builders, scripters and other Second Life creatives. the program channels [Philips] design talent to develop meaningful and sustainable solutions that can contribute to a better future for all. It also opens up new perspectives in co-creating value through cooperation with public bodies and social players with complementary expertise and values. The presentation on The Chulha project, a well developed real life example of “stakeholder” collaboration, drew an attentive Second Life audience (that included Pathfinder Linden) into a lively debate, and raised some interesting questions, on how a model of “stakeholder” co-creation might work both within Second Life development projects, and in projects that link Second Life to Real Life. Alanagh Recreant of Uthango Social Investments who is an active participant in social investment projects on Second Life helped me cover the event. Alanagh is pioneering SL’s role as an enabling platform for social innovation, taking the visionary extra step of including Second Life in their strategies for poverty relief, crossing digital divides, and economic/social development in Africa (please see my previous posts here and here). A dear friend from Philips Design [Yel Oh] made a energy saving lamp for me, with the url attached to it. And, since July 6th I give it to people I meet and who are interested in it, a light bulb. A new way to create awareness. Rather than giving money to worthy causes, an increasing number of companies are choosing to help communities by donating their products or expertise to special projects while supporting the company’s objectives to enhance brand image, strengthen employee engagement, increase trust and customers loyalty, and even develop new ways of working and innovative solutions. Known as ‘strategic philanthropy,’ this approach is driven by the desire to combine social responsibility commitments. Llanddewi Taurog: Just to play a devil’s advocate here: although strategic philanthropy sounds all very noble, it can also seem like a pretty sleazy way to penetrate new markets. what do you think about that? Host PhilipsDesign: Of course it is nice to create new businesses but to reach this group of people you really need to design something they can afford and want to buy. Llanddewi Taurog: Are you making money out of it? And, an interesting discussion was initiated by Alanagh Recreant on “the supply chain between the manufacturer and local entrepreneurs” and how local NGO’s (ARTI in this case) are actually getting involved in manufacturing and distribution. And, “How do local entrepreneurs get started without micro-finance?” Also…. Cor Laval: How do you avoid that these local entrepreneurs make more profit and not meet the primary role of the design: as cheap as possible for as many people as possible? There was no specific answer to this question but a consensus formed on the idea that basic market forces -especially in poor areas – would determine what was viable. Product Life Cycle management was a hot topic of discussion. But, no-one speculated much on the role that Second Life might eventually take in collaboration, design co-creation, and product life cycle management. Or, how RL/SL integrations like the EOLUS initiative might facilitate Philanthropy By Design projects in Second Life. This is an interesting topic for future discussions! Second Life residents were enthusiastic about Philips’ real life strategic philanthropy and eager to hear more. Llanddewi Taurog: Maybe we could work together [in Second Life] on a real life project with philanthropy by design someday? Alanagh Recreant: It is not often that you find a company that works closely with NGOs and uses their local connections. That is what I really admire….It taps into the heart of civil society in a way that respects community linkages. 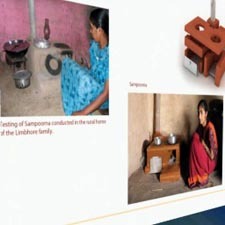 Also, Philips Design’s current plans include an impact study that will run from October 2007 to October 2008 to verify the benefits the Chulha Stoves claim to deliver as well as their limitations. 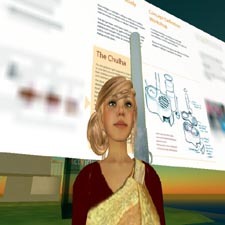 The complete Second Life meeting will be summarized by Philips Design, and transcripts of the chat distributed to members of the Philips Design Friends group and also made available at the Co-creation experience . The first Philips Design presentation, in Second Life, “Designing experiences together with people”, will also soon be made available. After the presentation, I discussed the Philip Design’s goals in Second Life with HostPhilips (Wendy) – who has a background in product design and is now a full time innovation consultant with Philips Design focusing on virtual worlds, especially Second Life; and, Yel Oh, also from Philips Design, an innovation director with a background in interaction and experience design who has been running real life creative processes for over 12 years. In Second Life the idea of global cooperation and collaboration for a sustainable future is being picked up in many quarters and the role of virtual worlds in eco-sustainability is being advocated and debated (see Earth2Tech). Recently, Jonathan Fanton, President of the MacArthur Foundation, and Philip Rosedale, CEO of Linden Lab, appeared in Second Life to talk about the future role of philanthropy in virtual worlds (also see Jonathan Fanton’s post). And, EOLUS One Initiative (see here and here) is initiating RL/SL integrations and energy management projects that bring Second Life into the forefront of a vision fo a sustainable future. And, Uthango Social Investments (here and here) has many exciting social investment projects in development. And, these are just some of the stories I have covered on Ugotrade. There many other initiatives taking root in Second Life. Inspired by the audiences’ response to this presentation, Philips Design is currently considering dedicating a future co-creation session in Second Life to Philanthropy by Design. Yel Oh explained they see SL as the perfect place to develop a co-creation community with so many creative people converging in an immersive 3D environment. And, indeed, at the end of the talk a number of participants expressed interest in working on a real life product with Philips. Members of the Philips Design Friends group are automatically kept up to date of upcoming events or you can check the events and activities board at the Philips Design Co-creation experience on Virtual Holland 3. Some of the events Tara5 Oh attended in Second Life last week! Last week, I attended a SciFi Trivia contest at StarBase C3. And, I had a long chat with Cube Inada whose has been believing and working in the 3d web experience for 20 years. I hope to include some of this conversation in a future post that will look at the past, present and future of the 3D internet. Cube has a very interesting museum displaying his two decades of work on 3D experiences. Cube offers quite different perspective on the future of Web3D from the one I usually present. Second Life is my focus because its unique emphasis on user generated content offers possibilities for technosocial innovation that auteur developed virtual worlds cannot, even if such auteur or developer built virtual worlds become linked via the web. 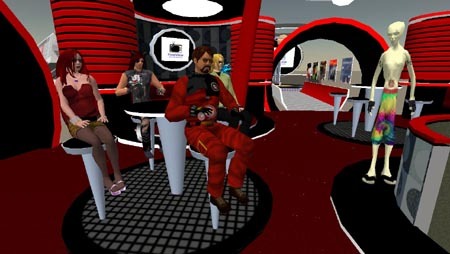 But, please visit StarBase C3 where you will have fun in a highly developed 3D experience that Cube, a professional game developer, has ported to Second Life. You will see virtual worlds from a perspective not usually shown on Ugotrade. And, you can buy a spaceship to travel around Second Life in style. John Swords has posted the audio stream http://sc8.spacialnet.com:17524]. And, on the same day, I caught panelists, Celebrity Millionsofus, Eric Rice (a.k.a. Spin martin), Jeska Linden and Ziggy Figaro talking about how voice will affect marketing in Second Life, at the New Globe Theater, Milions Of Us. The picture on the right is Eric Rice playing with his avatar. Social media is all about participation, right? In that spirit, Millions of Us will be opening up land on several of its sims in order to host the coolest projects you can come up with. We own 8 perimeter sims, clustered around the central eponymous sim — and that’s where we invite interested and motivated residents to help us fill those sims with fantastic Second Life content. And, I attended the BlogHer conference on Second Life. On the left is 57 miles of metaversed on a panel about blogging from SL. He was a brave lad to talk about blogging at BlogHer. KK Jewell of arcspace (pictured here left) gave me a window into the world of architecture on SL in several wonderful chats – the topic of another post. And, we both attended the American Cancer Society’s Second Life Relay For Life. Please see Veejay Burn’s post on his excellent blog Mindblizzard to read more about Barnardo’s efforts of Second Life. Through our good friend Aleister Kronos Veejay and I were tipped that BBH (Bartle, Bogle, Hegarty ) and RRR (rivers run red) are bringing another Charity 2.0 event to Second Life. Peter Rogers from the Ad Agency BBH let us know that each year BBH is sponsoring a good cause, and this year it’s Barnardo’s, which is a charity organization that stands up for children in need.